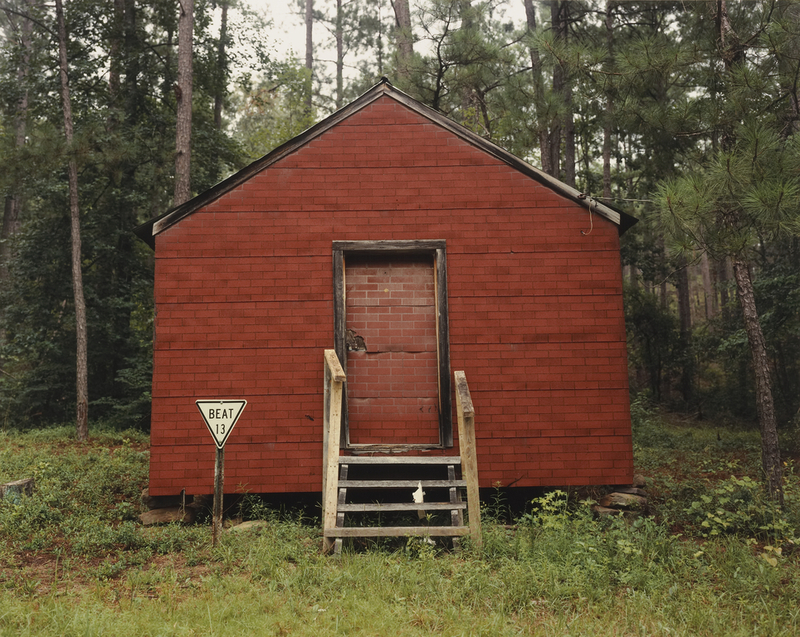 (Verso, sheet) signed in black ballpoint ink, at lower left edge: "Christenberry"
(Verso, sheet) inscribed in black ballpoint ink, at lower left edge, by Christenberry: "RED BUILDING IN FOREST, HALE COUNTY, ALABAMA, 1994"; in black ballpoint ink, at lower center edge, by Christenberry: "PRINTED 1994"
Hopps, Walter. The Dream Colony: A Life in Art. Anne Doran and Deborah Treisman, ed. (New York: Bloomsbury, 2017), Unpaginated.